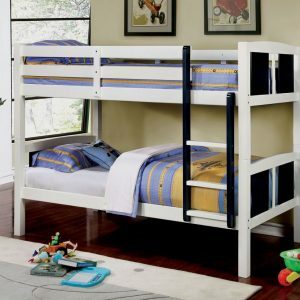 This space saver bunk bed fits perfectly in kids rooms that have limited amount of space. 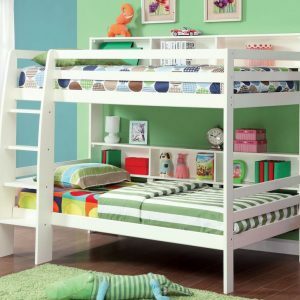 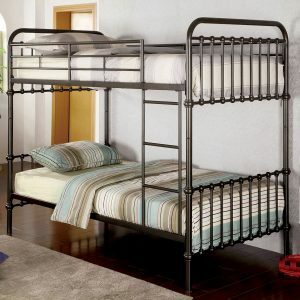 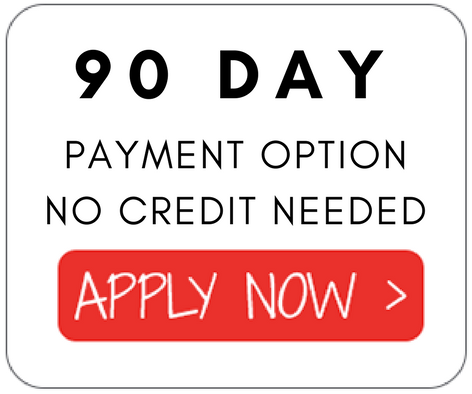 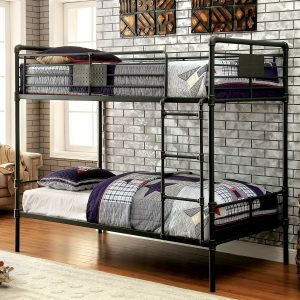 Its kid friendly design includes upper guard rails and an optional pull-out trundle for friends to sleep on. 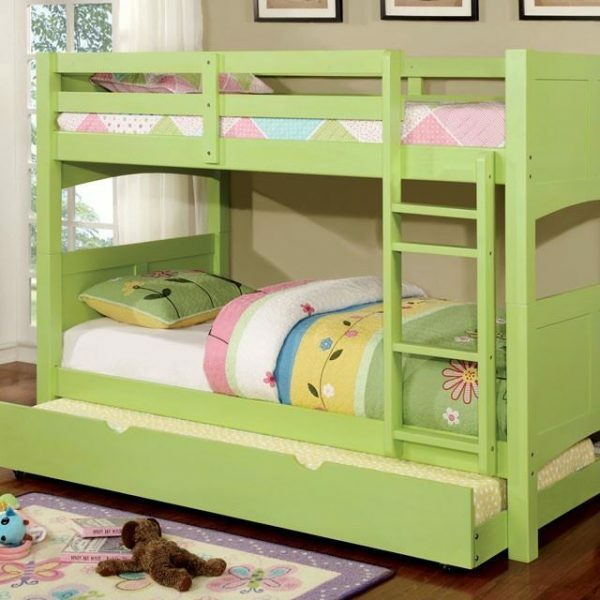 This bunk bed comes in four finish options: yellow, blue, pink and apple green.